Grizzy had a coughing fit last night, and he’s been steadily losing weight (he’s down 2.125 ounces since May). Given those things and a gut feeling, I decided to take him to the vet today. I’m keeping my fingers crossed that the blood work shows a definitive answer of *something*, so we can solidify a plan and get him feeling 100% again. 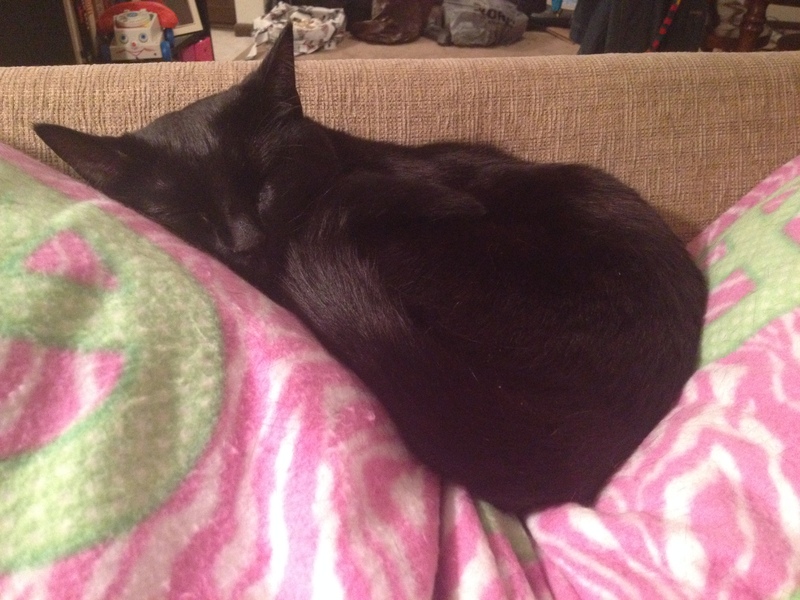 His general symptoms are weight loss, lack of appetite, the coughing fits, and maybe a smidge less active than usual. Of course, as a cat mom, I really notice how bony he is. When I pet his back, all I feel are bumps it seems. It’s all so odd, because his fur is shiny, eyes are bright, he does eat and he is active…it’s hard, because I want so badly for him to be feeling great again. 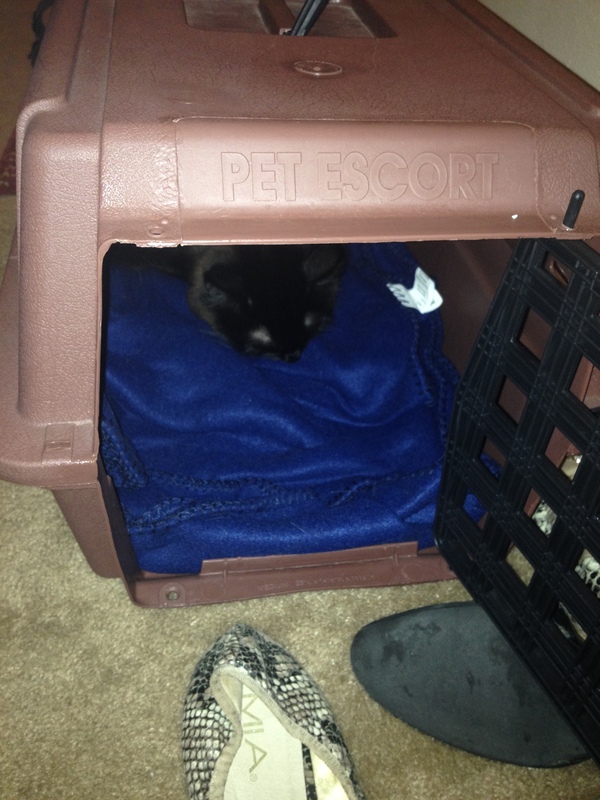 Anyhow, Grizzy is terrified of the carrier. Both carriers, actually. But look who found a cozy home in it? She went into it immediately. I got her out and started to put Grizzy in, and Sophie literally *jumped* into it! Now that it’s in the living room, she’s been walking in and out of it all night. That picture breaks my heart, because he looks so small. It reminds me of when I first got him (almost a year ago!) and he had all the issues with ear mites and the infamous tapeworm. He was getting so skinny back then, and I was so afraid I’d lose him. It’s upsetting to be back in that uncertain territory again…I feel so helpless. I want my baby to be OK! But we should get most, if not all, the test results tomorrow, so paws are crossed and prayers are going up that they show something definitive. And then we can get to making him feel better. Hope he will be feeling better soon. It’s tough when one isn’t doing well.